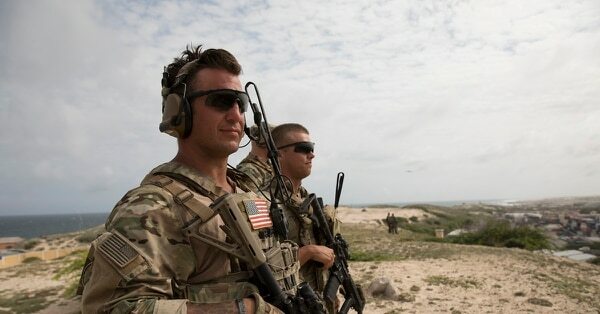 The U.S. mission in Somalia has garnered attention as airstrikes in the country ramped up over the past few years, but it is a band of specialized local infantry being trained by American contractors and U.S. troops that Africa Command says is the primary security effort there. Somalia’s Danab Advanced Infantry Brigade, or lightning force, is a growth point that AFRICOM is eagerly cultivating. U.S. military forces are heavily involved in training Danab, which includes instruction on advanced warfighting techniques and how to conduct effective unit-level operations. Danab troops are first trained by Bancroft Global Development, a private security company, before being further groomed by U.S. troops. Danab started out as a 150-person unit roughly five years ago, but has since grown to become one of Somalia’s most-used military assets. Ultimately, the Danab brigade will consist of 3,000 member forces across each of the six Somali National Army sectors. The unit will report to a brigade headquarters at Baledogle Airfield — a former Soviet air base in southern Somalia with a significant U.S. air and ground presence. The new Danab forces are recruited and trained with tribal and clan considerations in mind, according to Gen. Thomas D. Waldhauser, AFRICOM commander. When asked whether there was any concern that training and empowering local forces could reinforce warlord-like power structures when the U.S. departs the country, AFRICOM said there is no indication of “dual loyalties” among Danab troops. 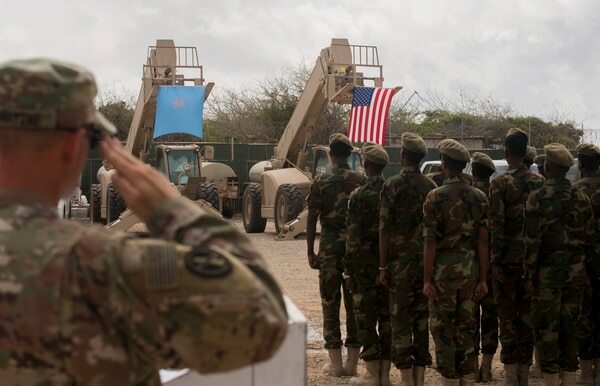 AFRICOM, the Somali government and its various regional governments “go to great lengths to ensure the individuals selected for the Danab are clan- and region-appropriate,” Maj. Karl Wiest, an AFRICOM spokesman, told Military Times. Somali military forces are backed by the U.S., as well as the African Union Mission to Somalia. Troops from this multi-national coalition have made inroads against al-Shabaab, a militant group the U.S. government said is tied to al-Qaida. The group once controlled Mogadishu and large portions of the Somali countryside. Operations against al-Shabaab are Somali-led, according to AFRICOM, and remain necessary. However, U.S. special operations forces do conduct advise-and-assist missions during at least some combat operations. This approach is particularly evident in southern Somalia’s Jubaland region. 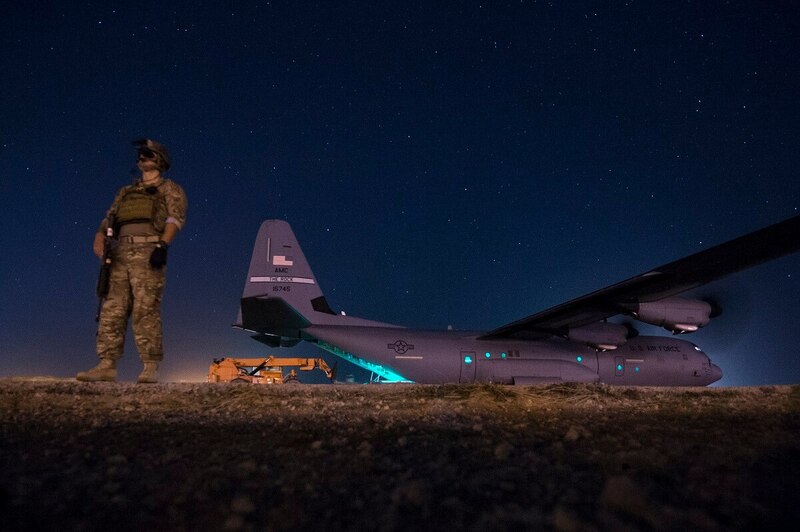 One U.S. soldier with 3rd Special Forces Group was killed and four other Americans were wounded in June during an attack consisting of mortar and small-arms fire from al-Shabab militants in Jubaland. About 800 Somali and Kenyan forces, with advice, assistance and aerial surveillance from U.S. troops, were conducting a multi-day operation when the attack occurred. That operation was part of AFRICOM’s larger goal to push al-Shabaab out of populated areas in the region’s river valley and establish combat outposts to guard territory retaken from the terror group. Officials have previously told Military Times that the U.S. footprint in Somalia hovers at about 500 troops. The Pentagon is also increasingly relying on the 127 Echo program in Africa, which funds the use of units from other nations’ governments as “surrogate forces," according to Maj. Gen. James Hecker, vice director for operations from the joint staff. The 127 Echo program "provides us viable surrogate forces designed to achieve U.S. [counterterrorism] objectives at relatively low cost in terms of resources and especially risk to our personnel,” Hecker said during a congressional testimony in early February. The rarely talked about program allows Americans to retain operational control over partner forces, without necessarily accompanying them on missions. Regardless, Danab units backed by the U.S. military aren’t enough to stabilize Somalia, according to EJ Hogendoorn, a former United Nations arms expert who now works for the International Crisis Group’s Africa program. Al-Shabaab also exploits local grievances with the national government’s corruption, nepotism and impunity from reprisal, according to Hogendoorn. To defeat al-Shabaab, the U.S. needs to better manage local security partners, “and while there have been some improvements, it has not been enough,” he added. The hope with the Danab troops is that they will eventually act as a source of future leadership for the entire Somali military, populating the ranks with experienced and disciplined leaders. For instance, the U.S. Army has for the past two years taught courses to Danab troops that emphasized tracking equipment through paperwork and accountability, which will hopefully stymie corruption. The latest course in August also provided vehicles like forklifts, tractors and fuel trucks to the Danab troops, totaling roughly $6.5 million in heavy equipment. Properly maintaining that equipment and knowing how to plan complex logistical operations will be important for Danab to maintain momentum against al-Shabaab without African Union or U.S. troops providing oversight. Additionally, that’s knowledge that can trickle down through the regular Somali National Army. As it stands, though, the U.S. support to Somali forces appears to be pivotal in keeping the country from falling back into al-Shabaab’s hands. In the near-term, the use of air power in the country has increased to provide a bulwark against the terrorist group. In 2017, President Donald Trump issued a directive that designated portions of Somalia under al-Shabab’s control “area of active hostilities," loosening the reigns for airstrikes. AFRICOM releases show 35 airstrikes occurred in 2017, another 47 were launched in 2018 and there have been an estimated 28 airstrikes so far this year. An Amnesty International report released in March alleged both that U.S. airstrikes have caused more civilian casualties than previously recognized, and that AC-130 gunships are being used in Somalia. AC-130 gunships are in high demand across the combatant commands. They are also typically used in conjunction with forward deployed U.S. troops for close-air support missions. The U.S. denied the Amnesty International report’s allegations of civilian casualties, but would not outright deny the past or present use of AC-130s. “Due to operational security, I cannot get into platform specifics, but I will say we have a range of capabilities at various locations in the region that allow us to carry out these airstrikes,” Col. Chris Karns, another AFRICOM spokesman, told Military Times.